Okay, so you want to have a sweet costume for Halloween...what better way to stand out with your constume then to have red, green, blue, yellow, pink black contact lenses. It's one of the easiest ways to make your constume look sweet. Heck, you could just wear the contacts alone and call yourself a vampire and it would be cool. 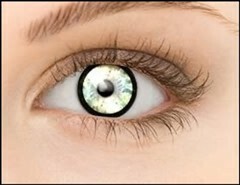 Alight, so this post is really about WHERE you can get these contacts for the CHEAPEST or best price. Because in reality, there are tons of companies that sell colored halloween contact lenses and they are all the same product. 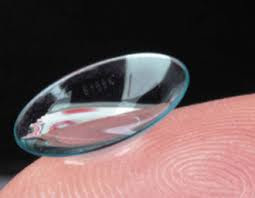 So I put in the time to research all all the companies to figure out where we can buy the best/cheapest contacts. So clearly ACLens.com is the winner. Enjoy your halloween! You are supposed to have a prescription from an eye doctor even if you want "plano" or contacts without correction. Although some have reported getting an order filled without a prescription by simply filling in the prescription form. Let me know in the comments if you know of other cheaper places to get Halloween colored contacts. Cheapest Place to get Contact Lenses?